The Cabinet Office has rejected claims the coalition's efforts to introduce a statutory register of lobbyists are marooned, despite having little chance of meeting the Government's own schedule for implementing the register. However, the spokesman was unable to give a timescale for the coalition's plans as the days tick down to its stated deadline for publishing a draft bill and white paper during this parliamentary session. With the session due to end within four weeks, the revised proposals it promised to submit last July after a consultation that began in January have yet to materialise. This view is shared by shadow Cabinet Office minister Jon Trickett, who accused the Government of prevaricating from the start of its term. 'Usually, they punt it into the reasonably long grass but eventually one gets to where the long grass is and then they punt it forward again. This has happened several times. We have no idea what's going on at the moment,' said Trickett. The lobbying industry's own attempts - a joint effort by trade bodies APPC, CIPR and PRCA - to engage with Chloe Smith, who took over the brief from Mark Harper in September, have also proved fruitless. Labour is attempting to keep the pressure on Cabinet Office minister Francis Maude with a letter written this week pushing for detail on lobbying reform, after Maude said on 20 March it would be announced 'shortly'. A Liberal Democrat spokesman countered this criticism, pointing out that Smith has been 'working very closely with Deputy Leader of the House Tom Brake from the Liberal Democrat side of the Coalition'. Editor at the heart of Bell Pottinger sting says debate on statutory lobby register is now 'off radar'. The editor of the newspaper behind the Bell Pottinger lobbying expose has warned that efforts to drive forward a statutory register may be 'dying a death'. The Independent's Chris Blackhurst said that whereas the issue had previously been a point of discussion within Westminster, it was now 'off radar'. He said: 'Plans for a register may be dying a death. My experience tells me once things aren't being talked about, they are forgotten. In 2011, Blackhurst's paper ran an investigative story accusing Bell Pottinger of 'secretly boasting about its access to the Government and how it used the "dark arts" to bury bad coverage'. The PRCA later rejected a complaint against Bell Pottinger. Blackhurst also raised a point made in a recent discussion on Leveson at think-tank The Legatum Institute. -September 2012 Chloe Smith succeeds Mark Harper as the minister responsible for the lobbying register plans. - July 2012 The Political and Constitutional Reform Committee criticises the Cabinet Office's consultation paper as 'not fit for purpose'. - January 2012 Minister for political and constitutional reform Mark Harper launches a consultation on the Government's plans. 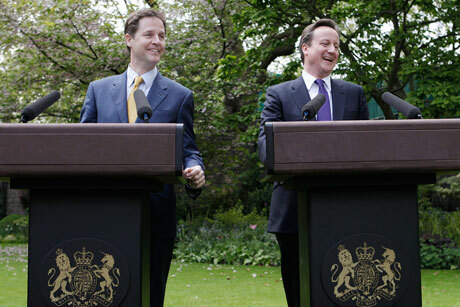 - May 2010 The new coalition Government's agreement includes a pledge to 'regulate lobbying through introducing a statutory register of lobbyists and ensuring greater transparency'.